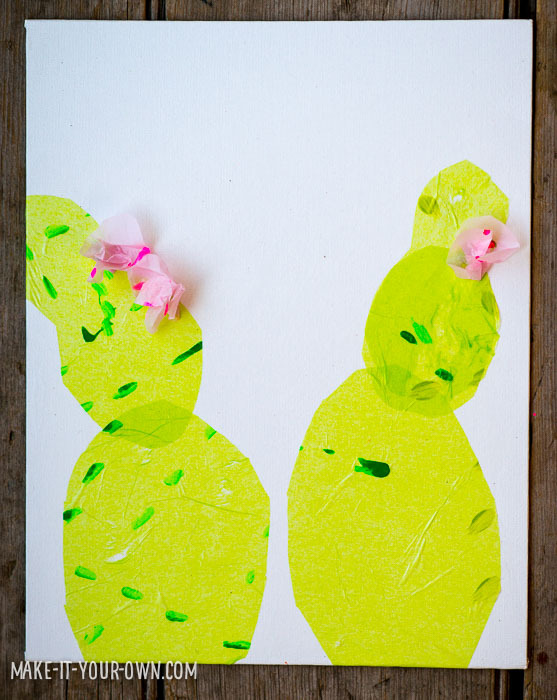 When I was a teacher the kids and I loved doing Eric Carle inspired pieces, painting large papers with various types of texture creating techniques and then cutting them up into many coloured collages! 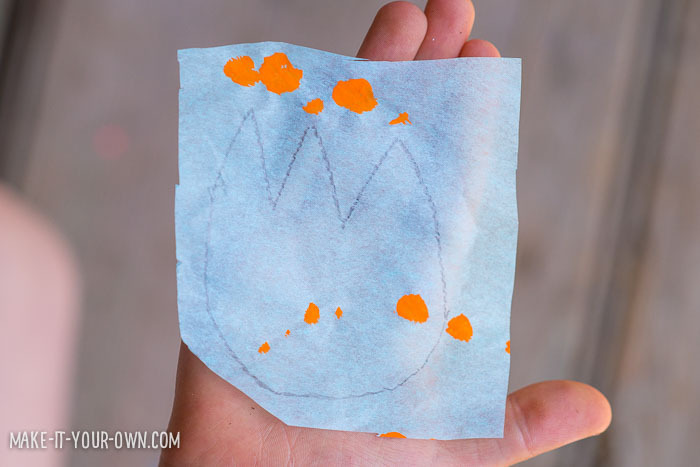 I have always wanted to extend this to tissue paper and so we gave it a go! 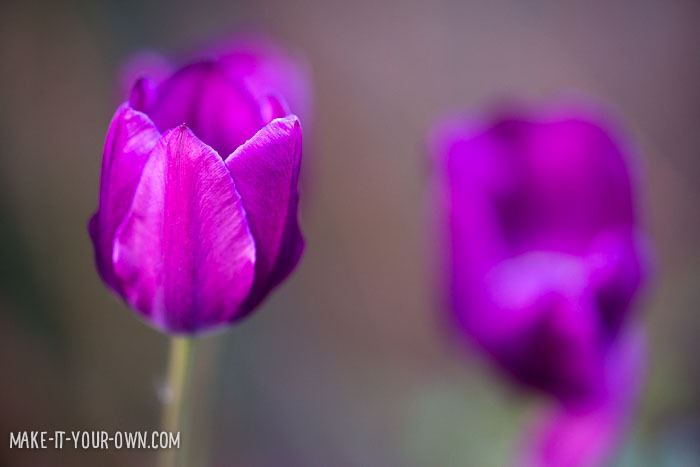 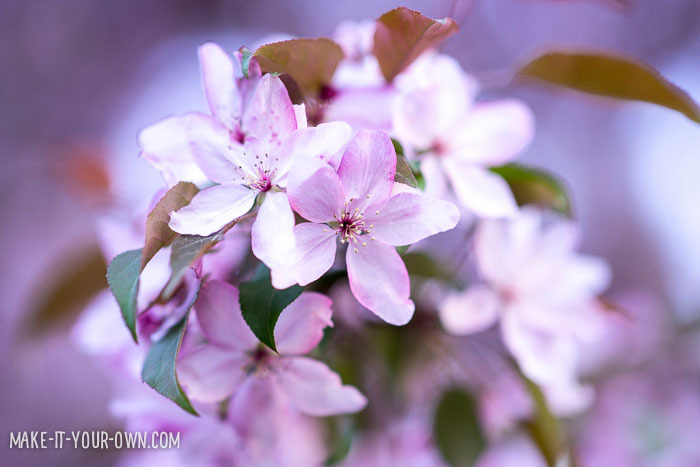 We went out into nature to get some inspiration for our project, taking photos of some of the neighbourhood blooms. 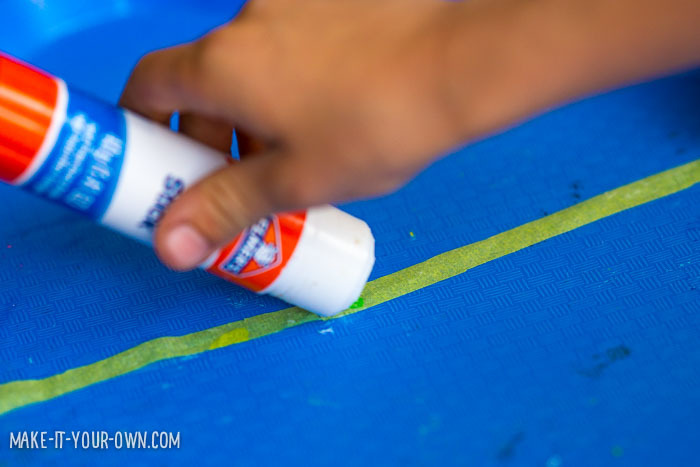 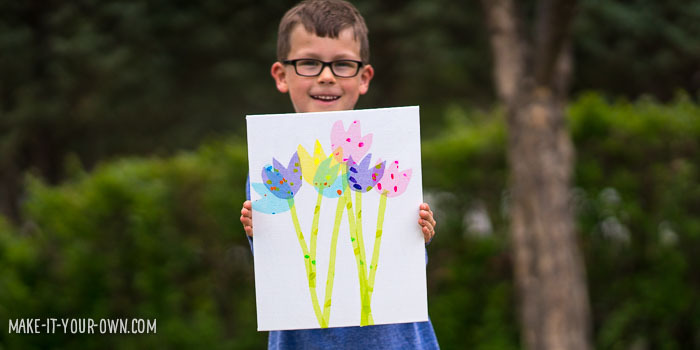 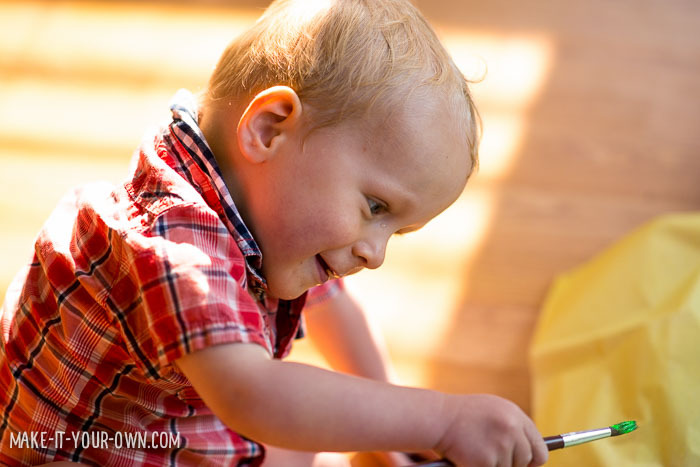 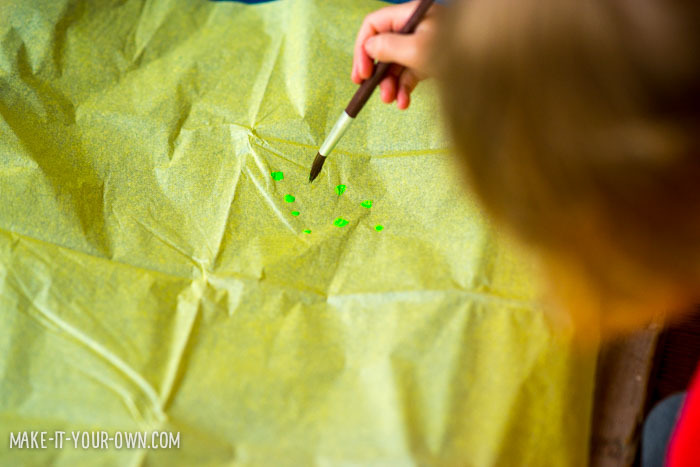 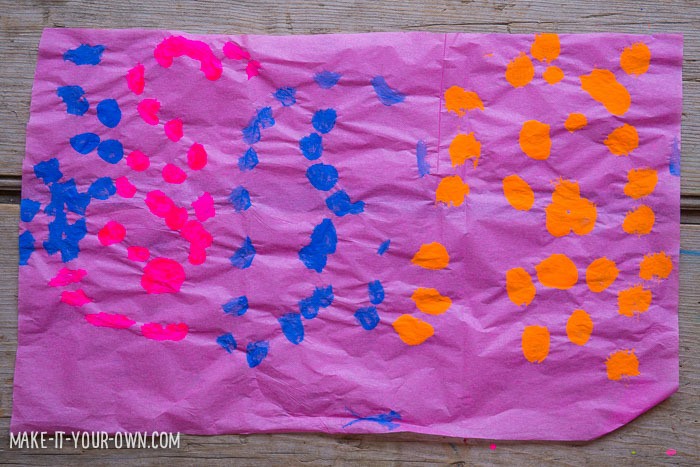 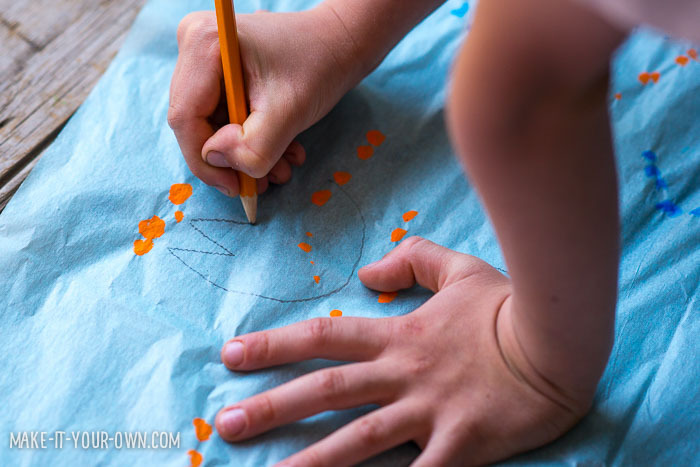 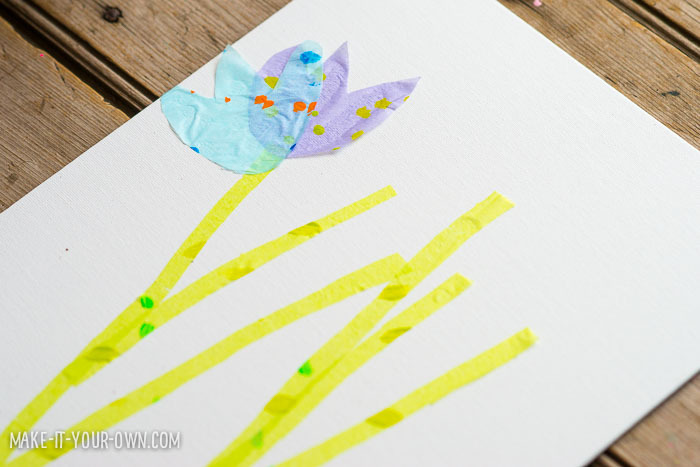 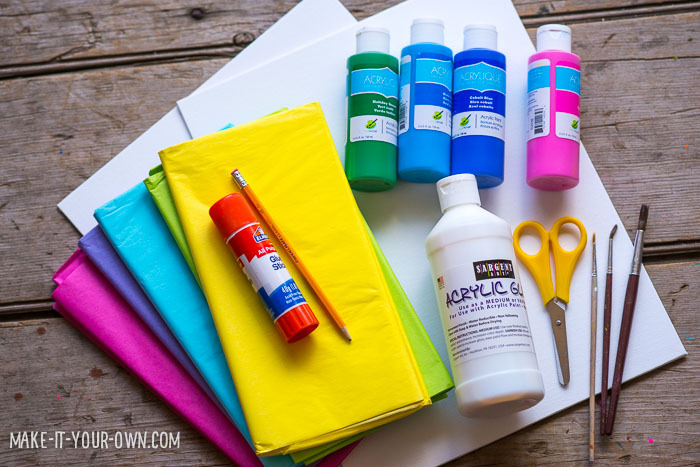 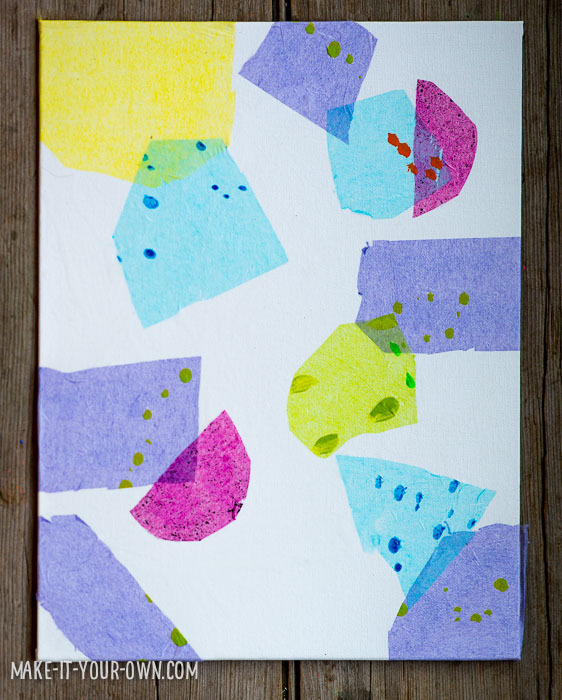 Don your smock and carefully paint your tissue paper using brushes or various items to create the appearance of texture. 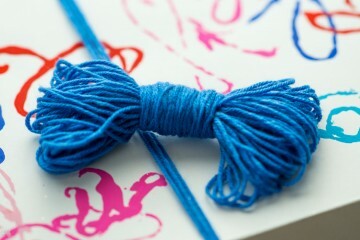 We went with something simple, but you could extend this however you like! 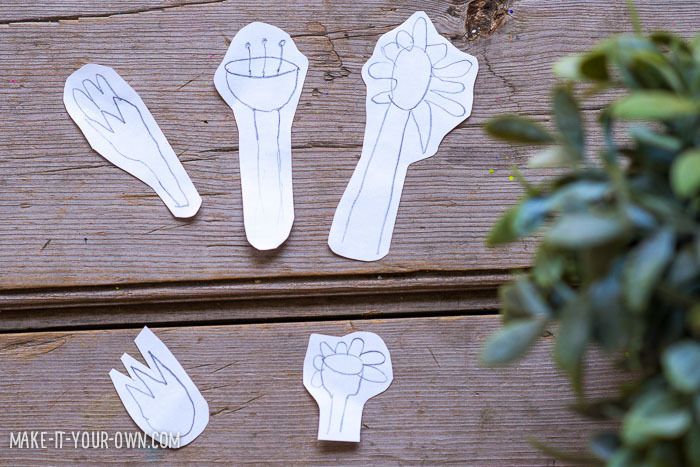 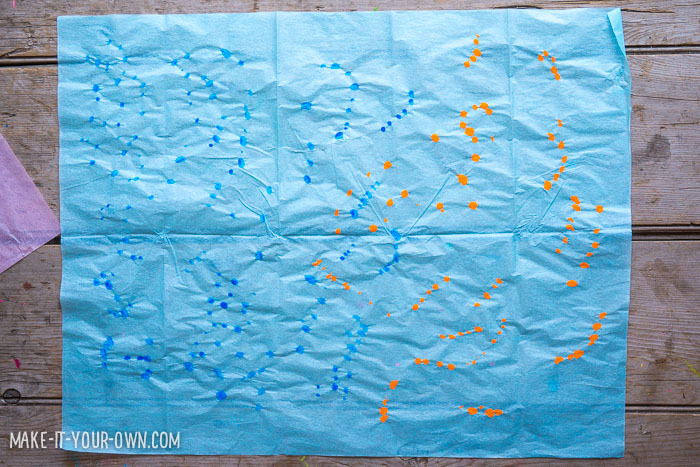 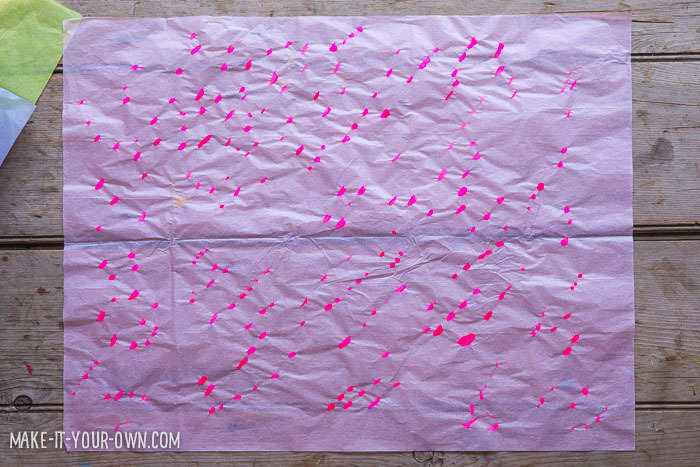 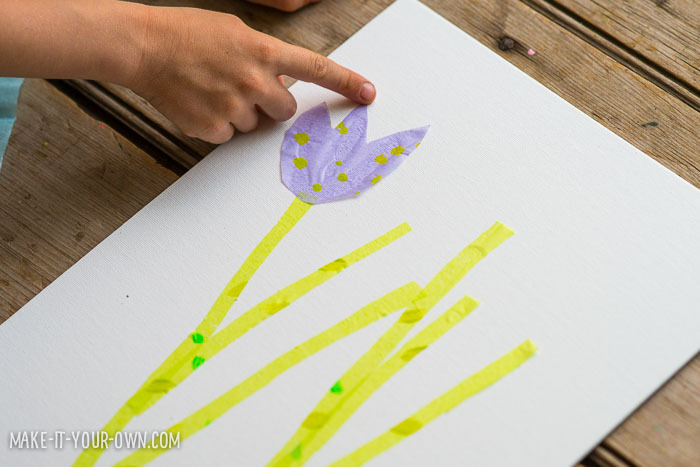 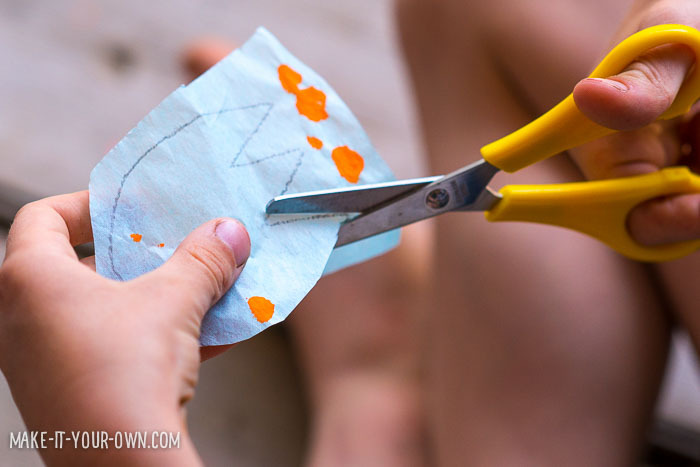 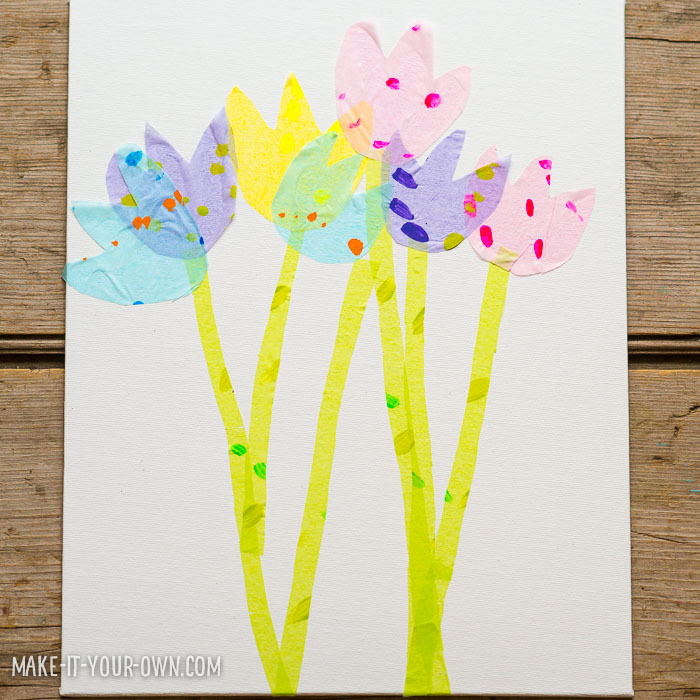 Carefully cut blooms out of your tissue paper, gluing them to your board. 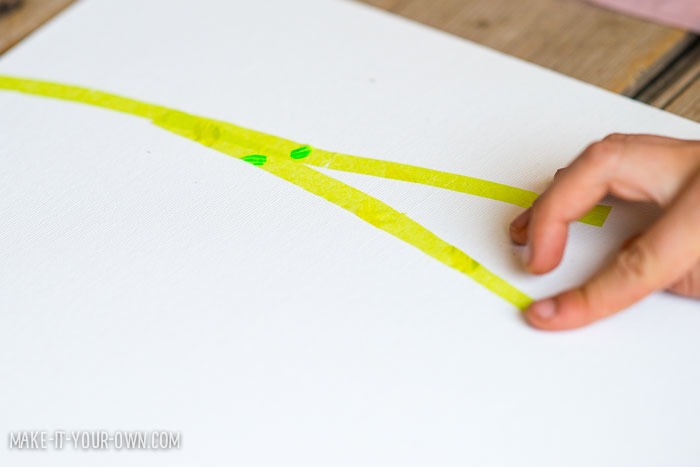 One trick we did was to draw out our bloom and then to cut inside the lines to eliminate the pencil marks. 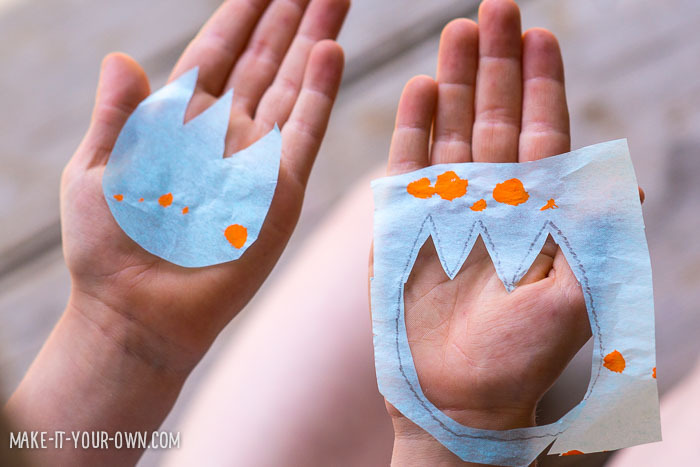 Another tip that is also helpful for children is to do a rough cut around your shape to make it easier to manage when cutting the actual shape out in finer detail. 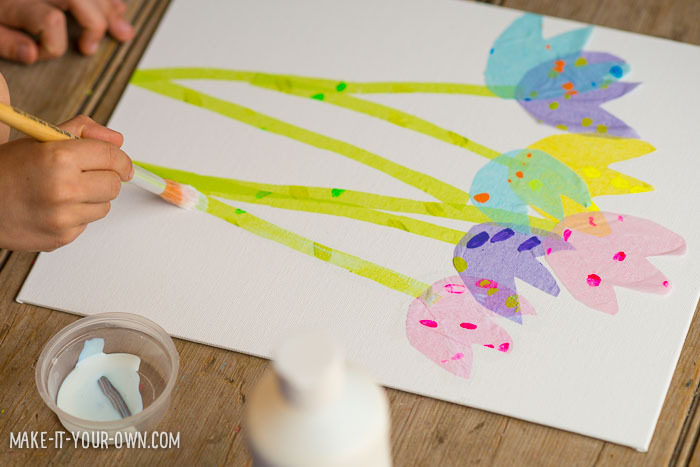 The stems are just simple strips. 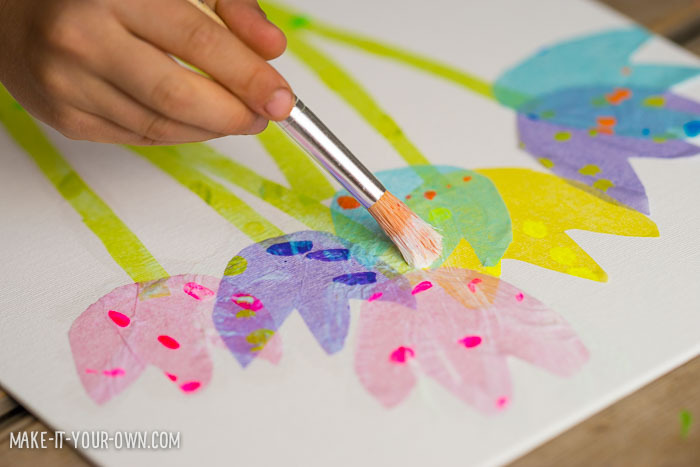 We allowed this to dry overnight and then gently finished off the projects with a thin layer of acrylic gloss. 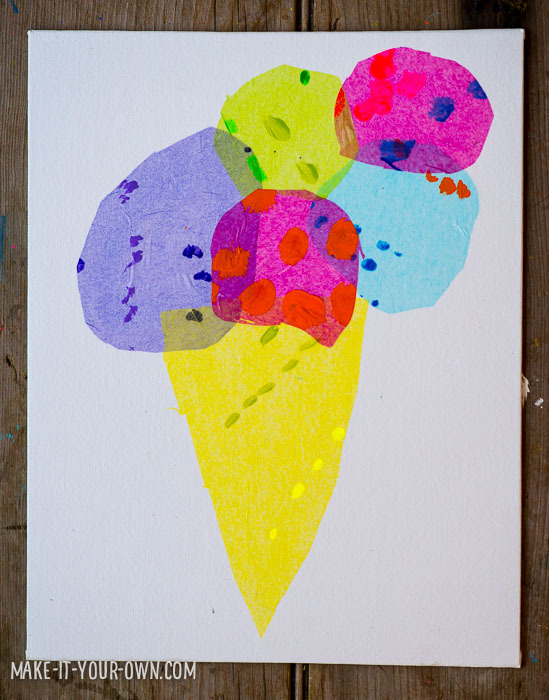 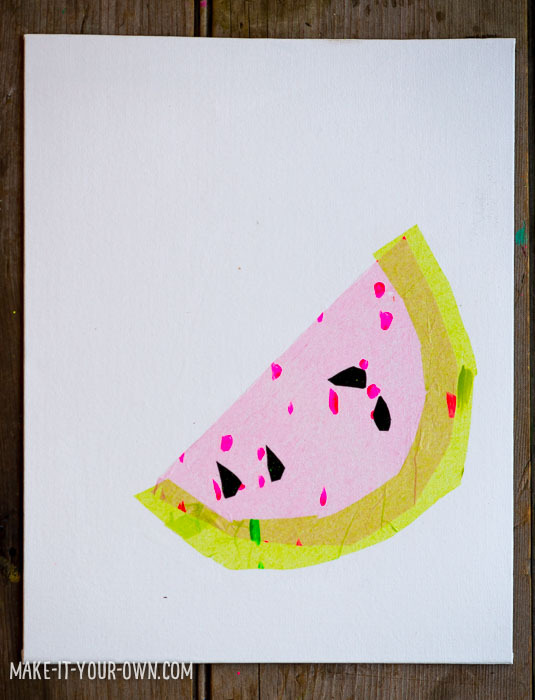 Here are our experimentations with other summer-y ideas: cacti, watermelons and ice cream cones! 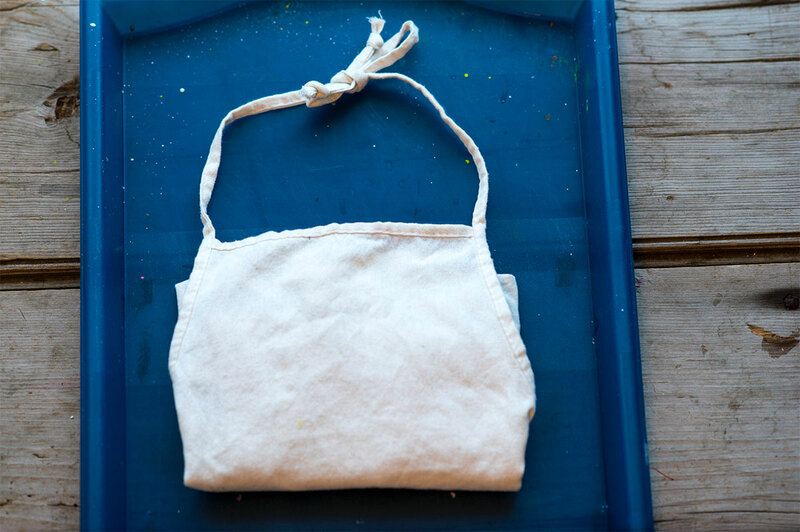 Wear a smock and use a craft tray to protect your clothing and work surfaces. 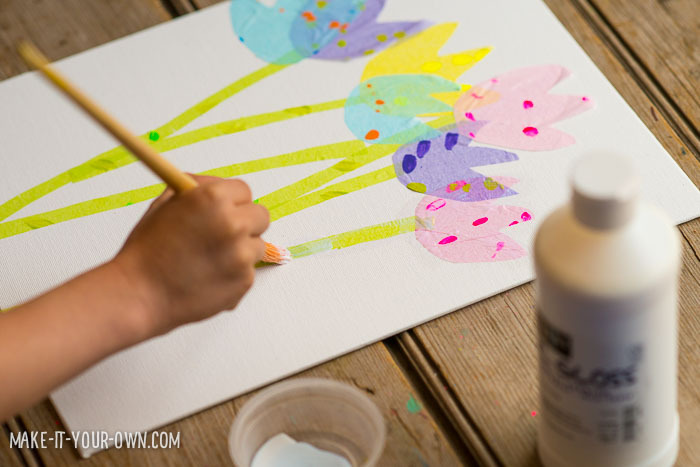 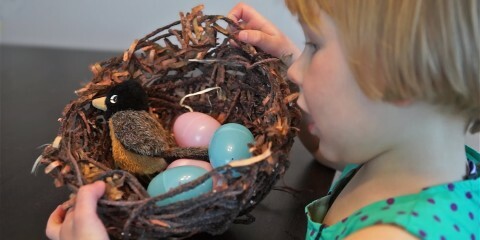 Very creative project for kids craft. 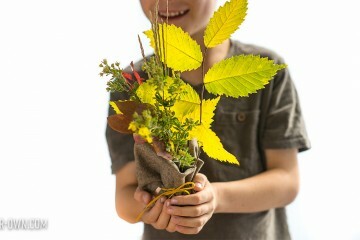 Keep trying new innovative things.Best of luck.